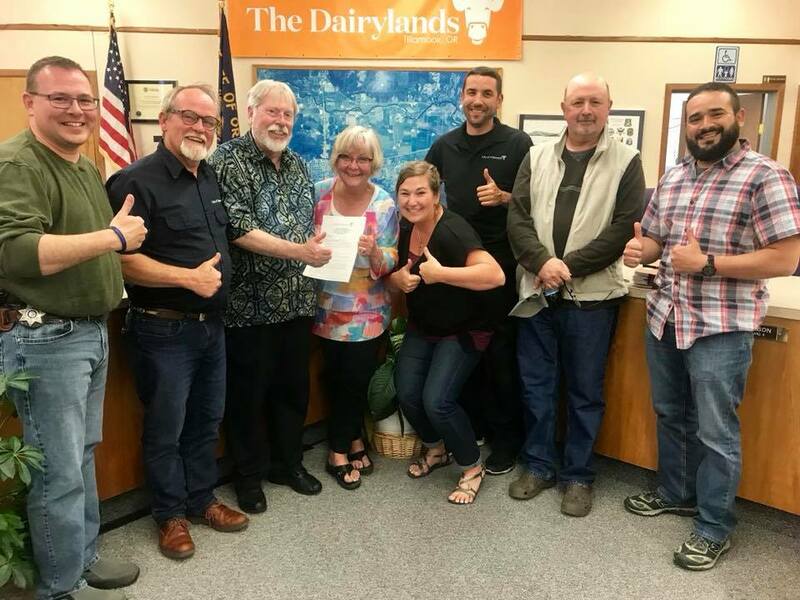 July 2nd, 2018 Tillamook City Council passed a new ordinance allowing System Development Charges (SDC Fees) to be waived for Habitat for Humanity projects within city limits! It is truly a win win for all parties involved. The City Council and City Manager have spent the last two months drafting and reviewing this ordinance which passed this evening unanimously. Habitat recently turned in a land use application for their first ever multi-family dwelling unit where they will double the number of new construction homes they build in 2019-2020. “It is a very exciting time to be a part of the development process. With new and improved zoning changes happening and out the box thinking, I know we are going to see the Mook come together and get people housed,” says Aufdermauer. Today will go down in the history books for Habitat as another step forward towards helping create a world where everyone has a decent place to live.